January 1st marks the new year for your resolutions, but what about your dog’s New Year resolutions? Now is the time to reflect on the things you wish your dog knew how to do. Walking on an off leash beach would be a fun way to enjoy the afternoon, but can you trust your dog without a leash? Even walking on a leash would be easier if your dog was not constantly pulling on you to sniff the next patch of grass. Training your dog the basics makes everyone’s lives easier. 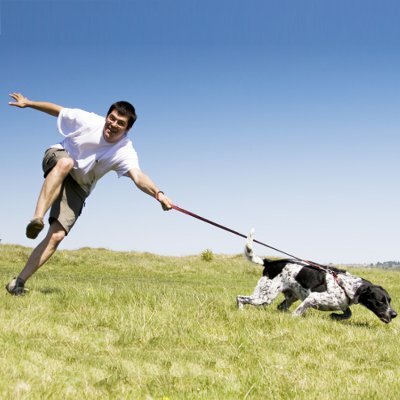 Your dog can learn leash manners, potty training, leash recall, and basic etiquette in less time than you think. Especially when you trust capable and friendly professionals to administer the training. Happy Hound’s dog trainers can address whatever wagolutions you and your dog would like to accomplish! The staff at Happy Hound will help select the best plan and method for training that caters to you and your dog’s needs. Specialized training starts with a simple message and a few minutes filling out the Behavior Training Questionnaire. Happy Hound’s training staff offers five packages that can train your dog according to your specific needs. Contact us to learn more! « Are All of Your Puppy’s Needs Met?